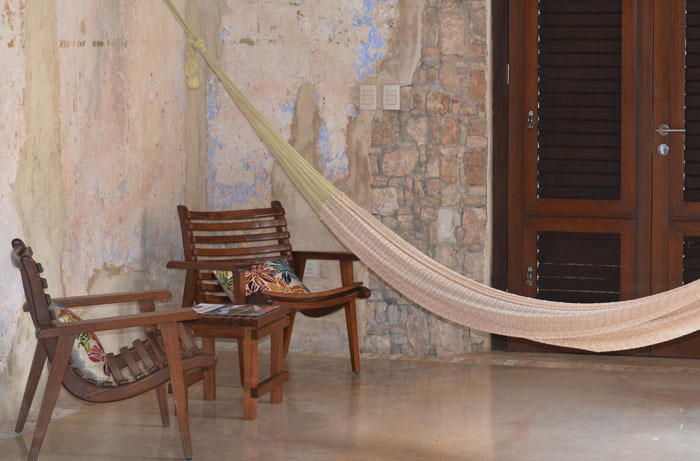 This is what I have gain by coming to the Yucatán: profound relaxation, calmness. my family that I don’t have time to get at home, its like re connecting and tuning again with our lives. 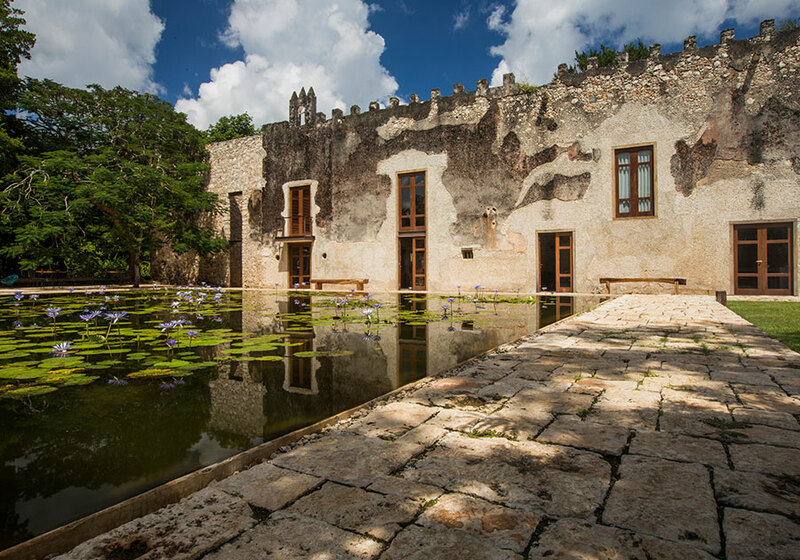 It is water, with its sensuous, ever-changing reflections, that creates the charm of this exceptional hacienda. The translucent bluish hues of the magnificent pool invite you to immerse yourself in a relaxed environment, while the multicolored lily pond speaks of timeless grandeur. 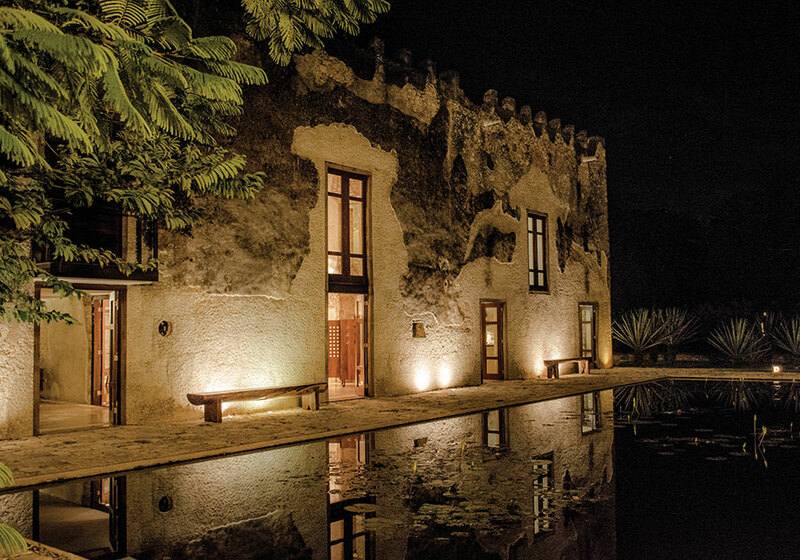 The hacienda has maintained the essence and splendor of the original main house, set within a landscape of sisal plants, achieving a perfect balance of the traditional and the modern that evokes the past glories of the region. 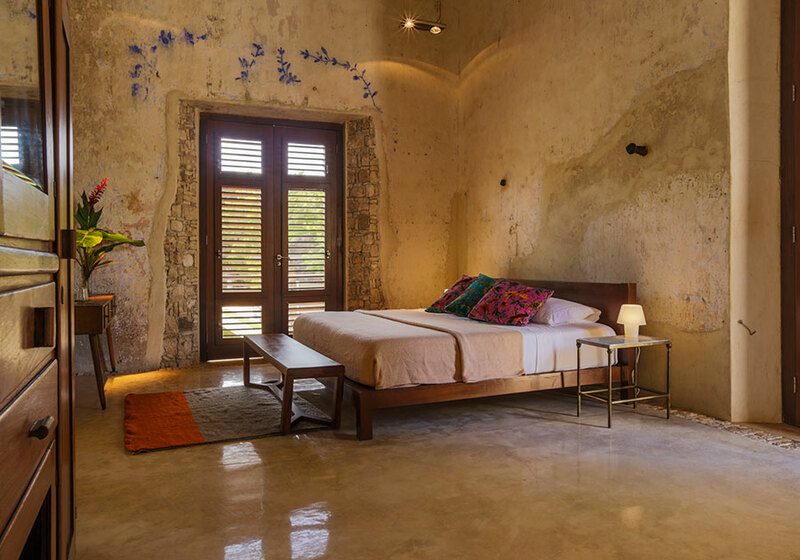 The hacienda has a majestic master bedroom with a private Jacuzzi. 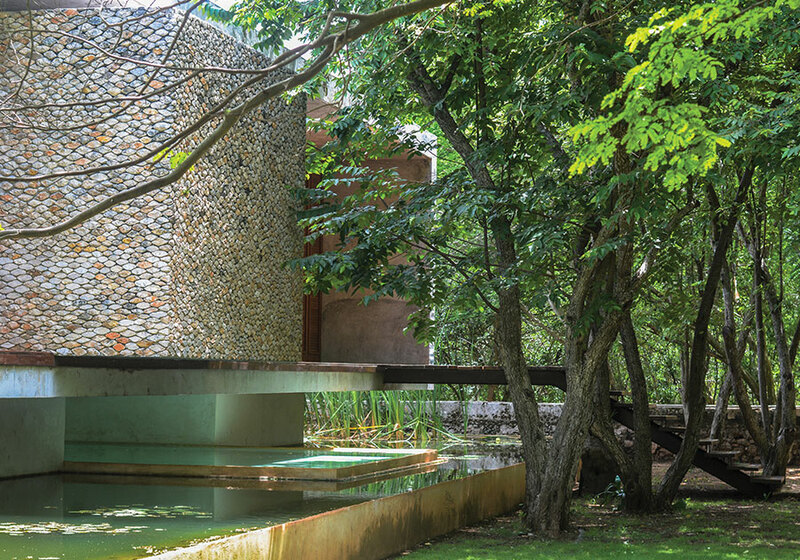 Viewed through its ample windows, the surrounding vegetation speaks of harmony and wellbeing. 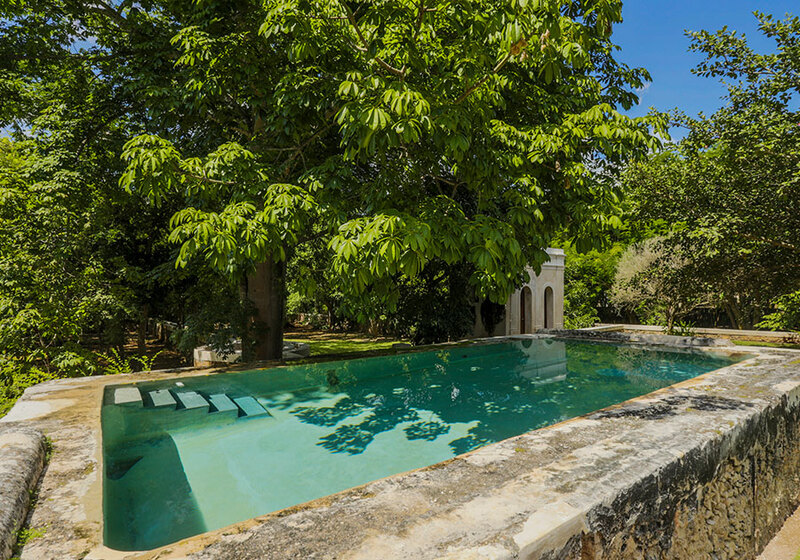 Two independent suites overlook their own lily pond, allowing guests to enjoy a plunge pool from the privacy of their own terrace. 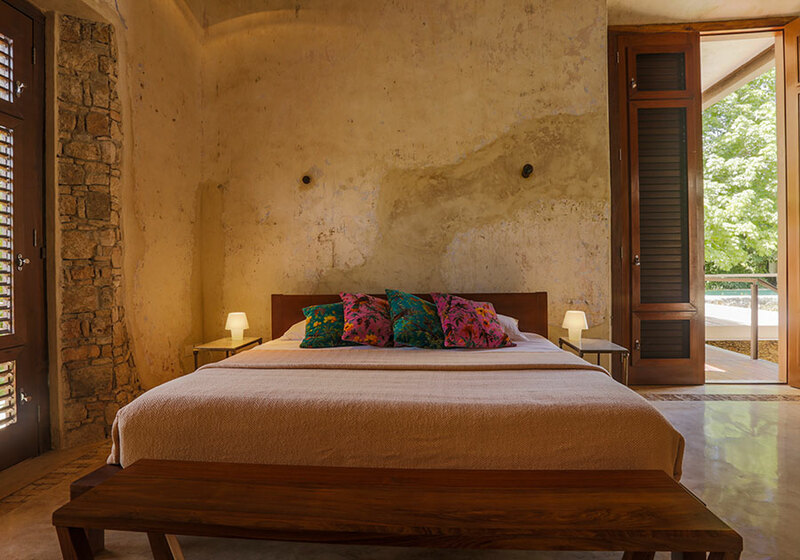 A fourth bedroom, located in the main house, provides the perfect complement to an already impressive property. 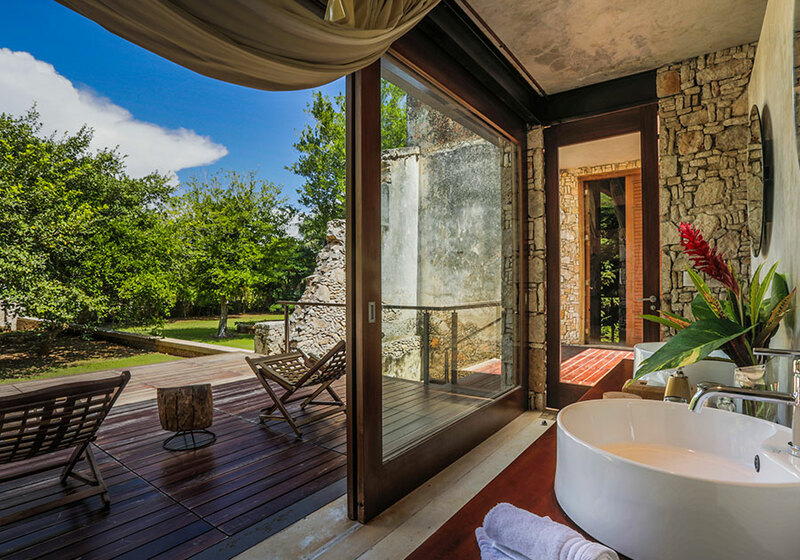 The living and dining rooms, breakfast nook, meditation area, and massage room make for a combination of outdoor splendor and interior luxury. • -> All meals (breakfast, lunch and dinner). • One service of snacks per day. 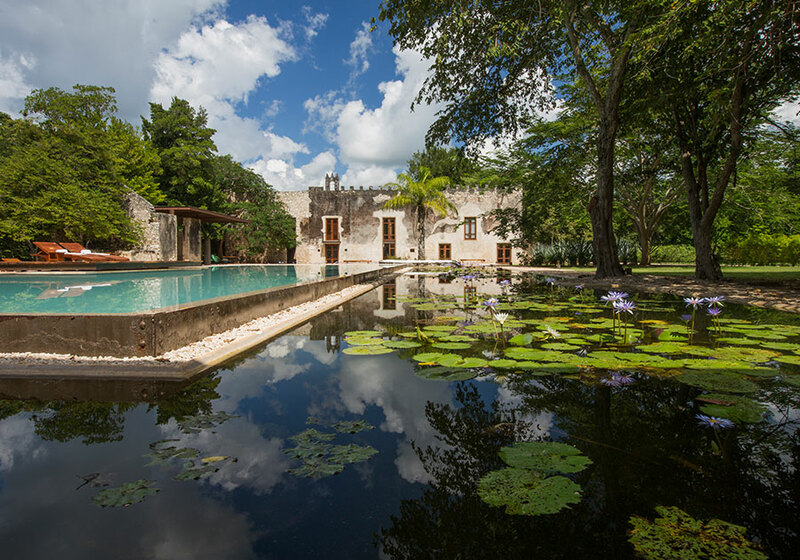 • One Yucatan Culinary Specialties cooking class offered.